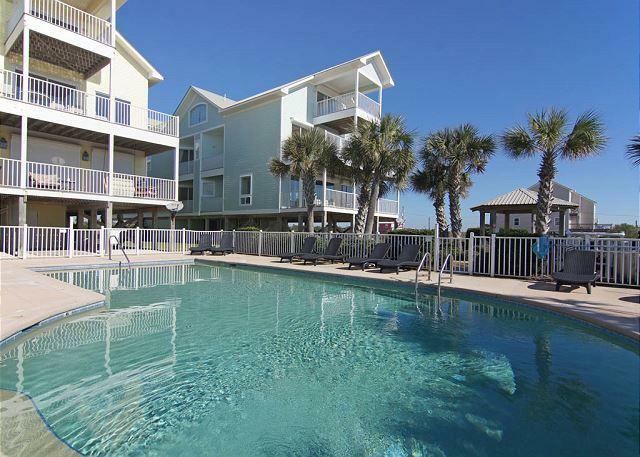 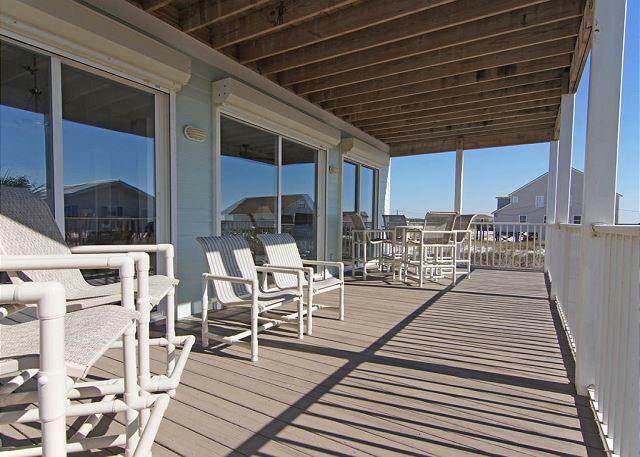 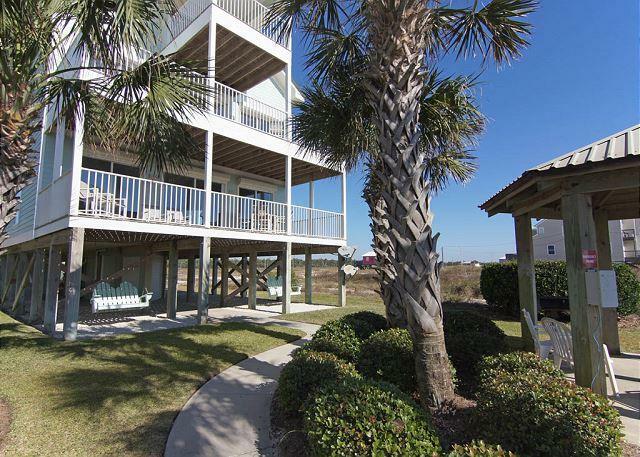 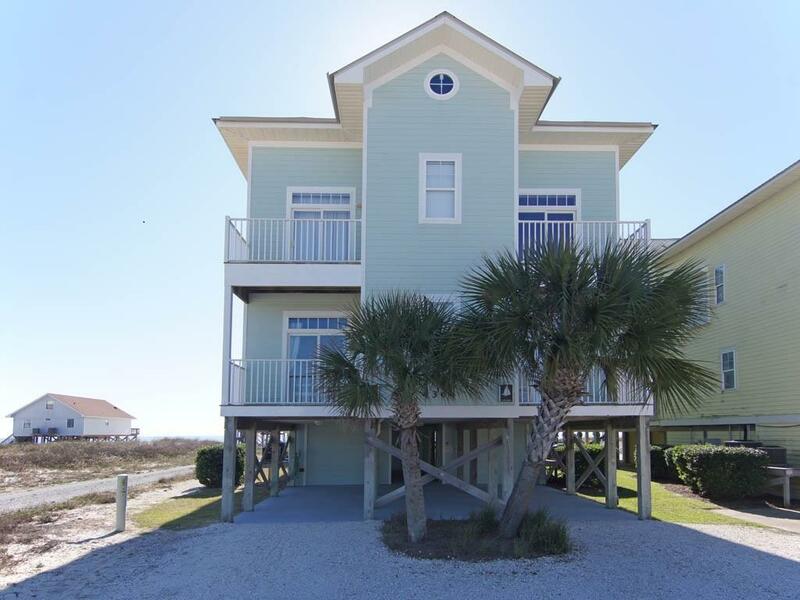 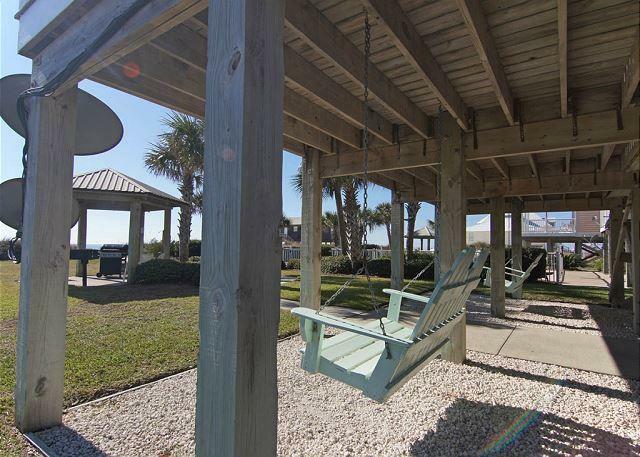 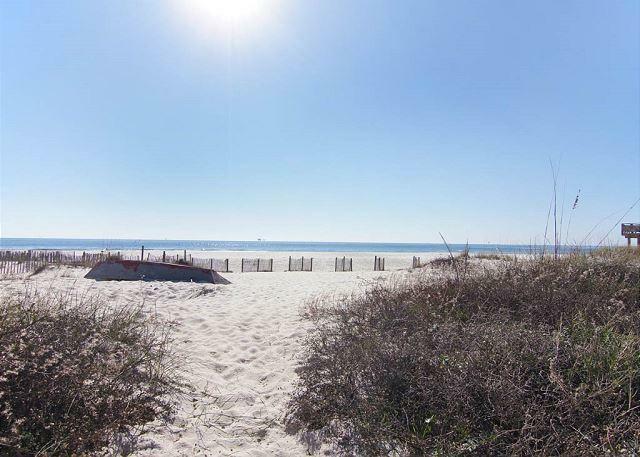 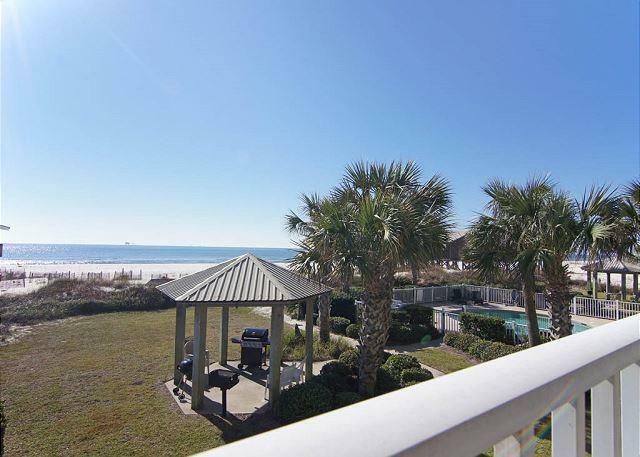 America 3 is a 4 Bedroom and 5 1/2 Bathrooms beachfront property, located on one of the most beautiful, white sandy beaches on the Gulf of Mexico! 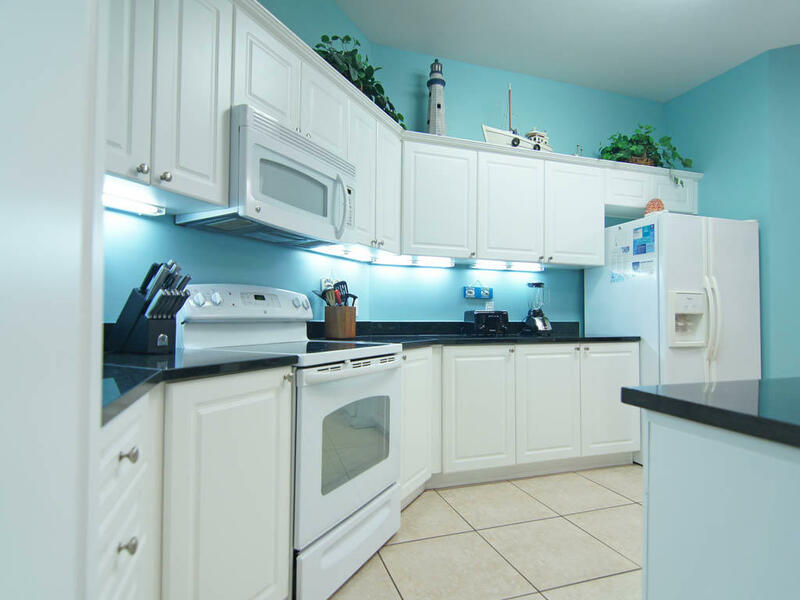 This unit is 2,500 sqf with an ample elevator that accesses the main living floor. 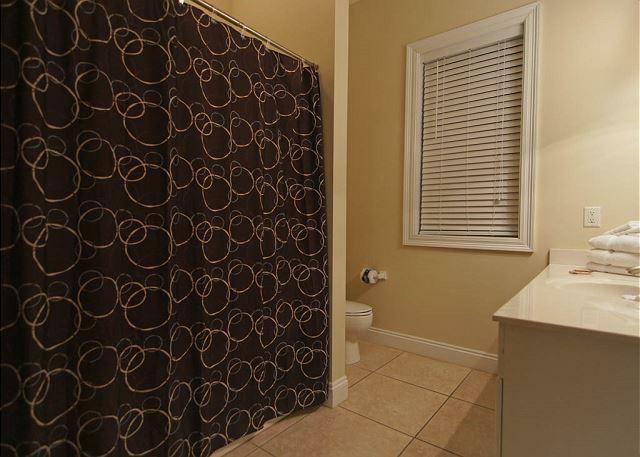 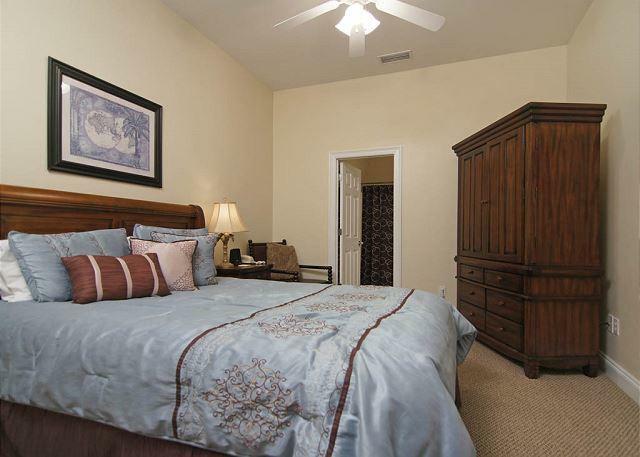 All common areas feature tiled floors and all bedrooms are carpeted. 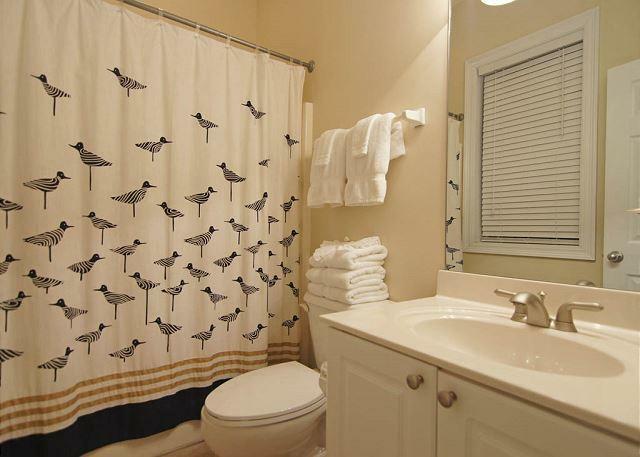 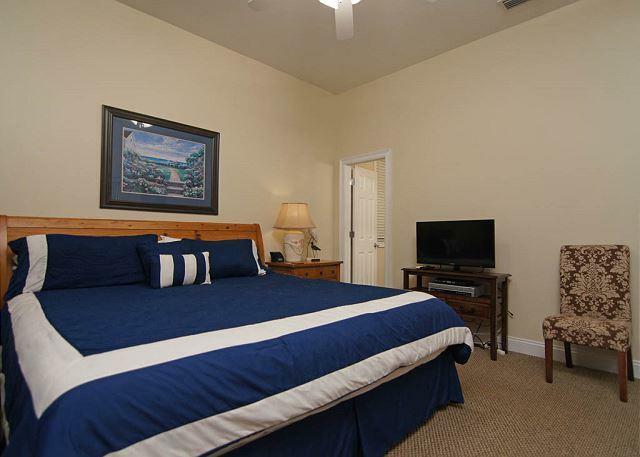 Recently remodeled, this condo is a home away from home! 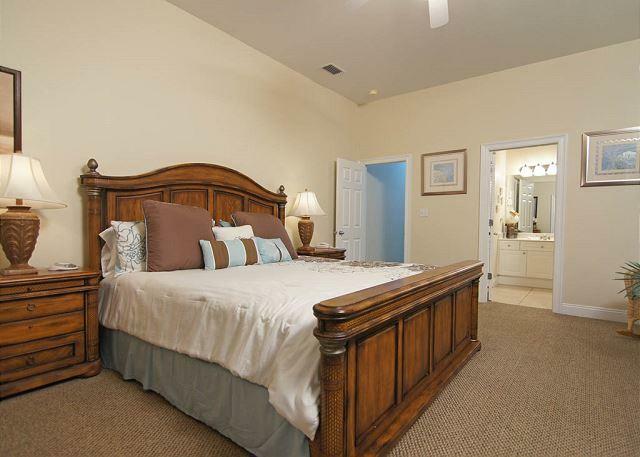 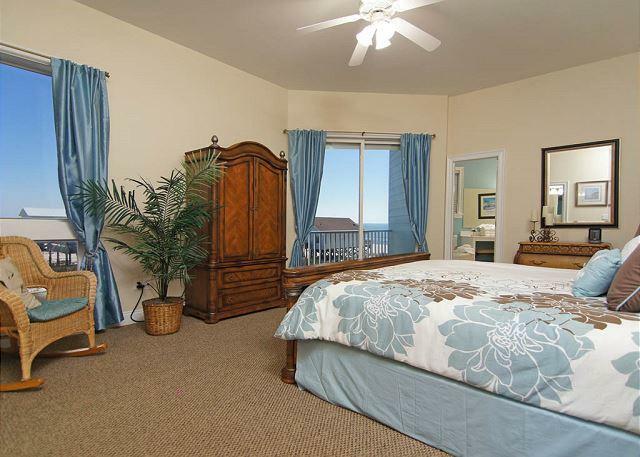 Beautiful Master Bedroom with a king size bed is located on the upper level and has two full bathrooms (his and hers!) 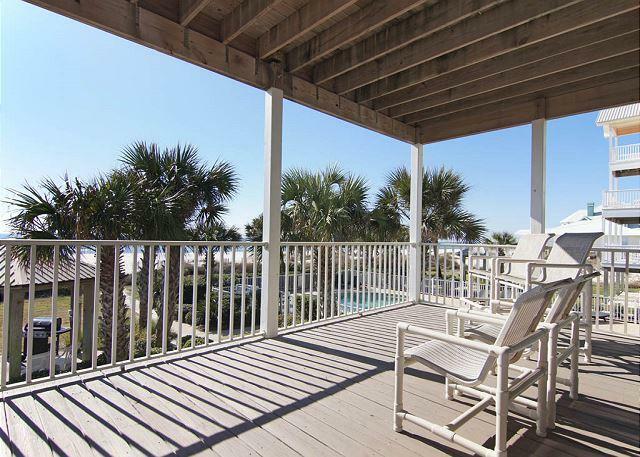 and a balcony with a beach view!. 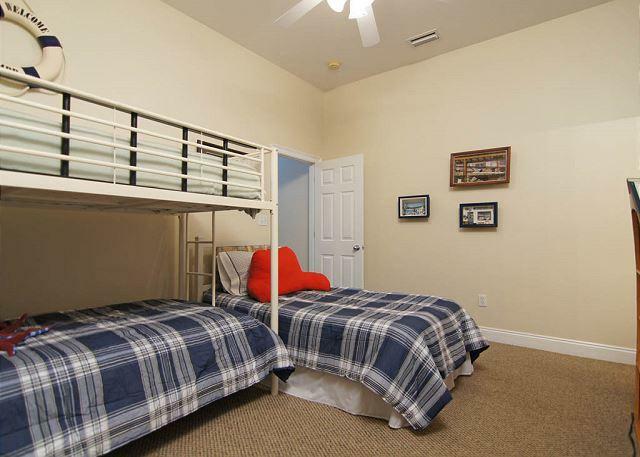 On the opposite side of the second level, you will find the kids' room with a bunk bed and twin bed (sleeps 3) and their bathroom. 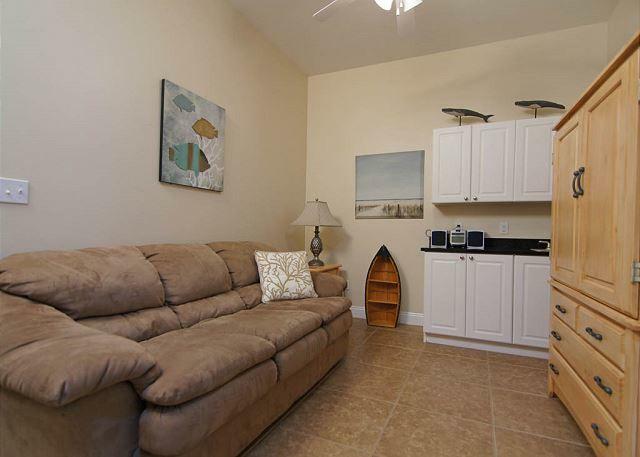 Adjacent to their room, there is a 'recreation room' with a sleeping sofa and large flat TV will make this place their little corner! 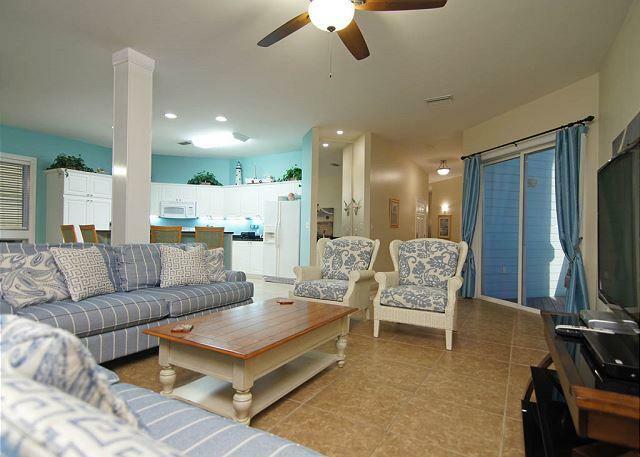 You will find a large open space on the main level.. 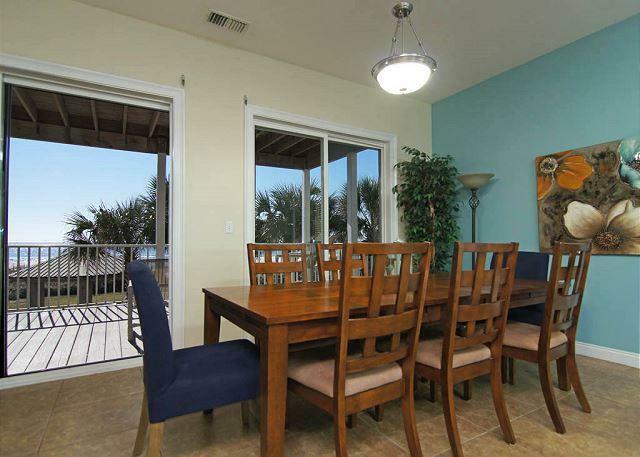 Living room, dining room and kitchen with granite counter-tops, all facing the majestic Gulf of Mexico! 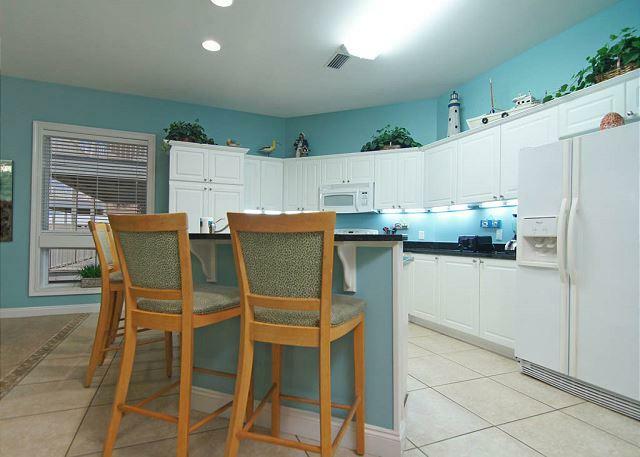 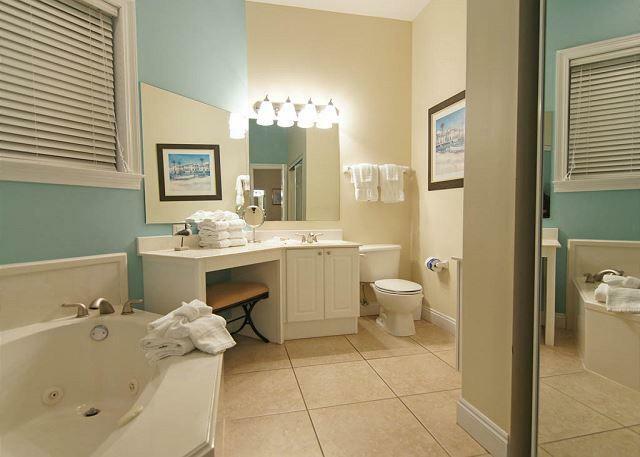 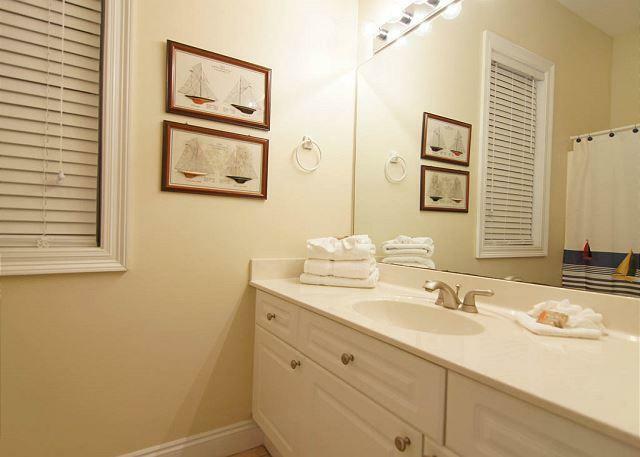 A wet bar (with a sink and ice maker) completes the room.. On the same main floor living, you will find a 1/2 bathroom and two bedrooms: a Queen size bed with a balcony and view of the gulf w/ private bathroom and a second bedroom with king size bed and its bathroom. 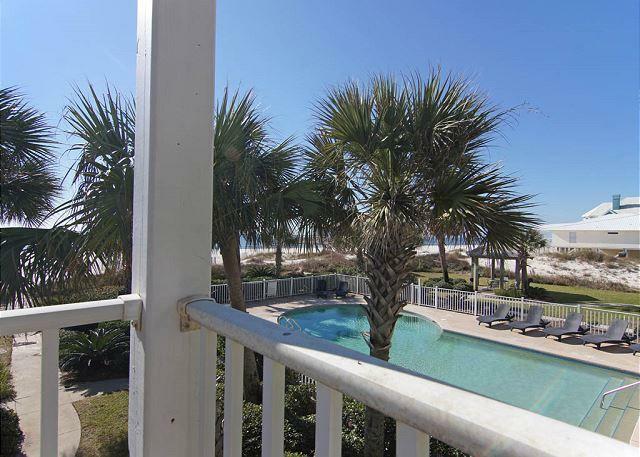 Right off of the living area, you will have an enormous balcony to sit outside and enjoy the spectacular view of the beach or you may choose to relax by the pool! 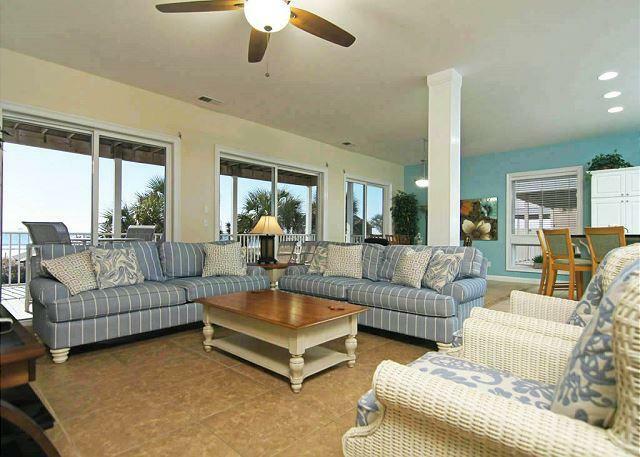 This property is part of a duplex group of properties and it makes it the perfect location for Weddings, Family reunions, Business meetings, or even religious retreats! 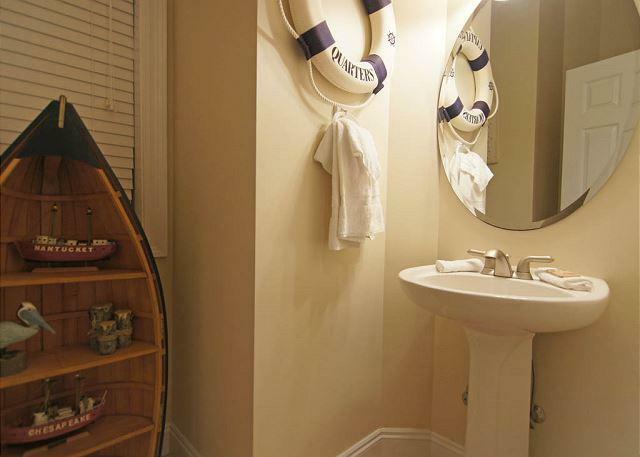 This is a non-smoking residence. 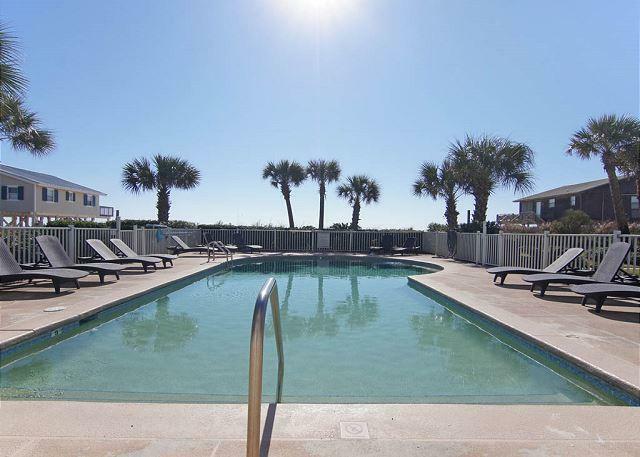 Pets are welcomed ( 40 lbs & under) Please note there is a Non-Refundable Pet fee (per pet) ranging from $50 to $150 depending on the size of pet. 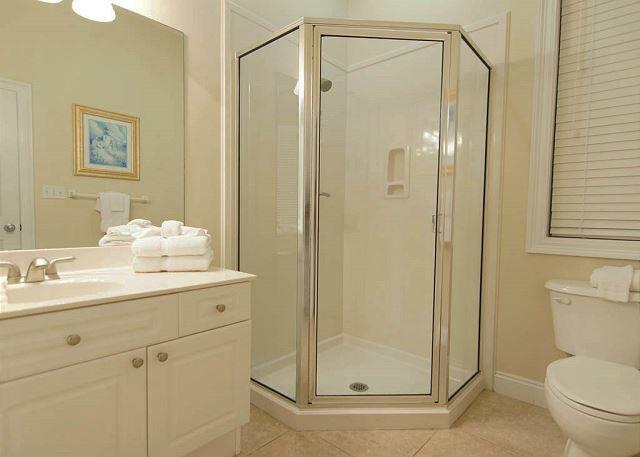 This unit is equipped with an elevator.